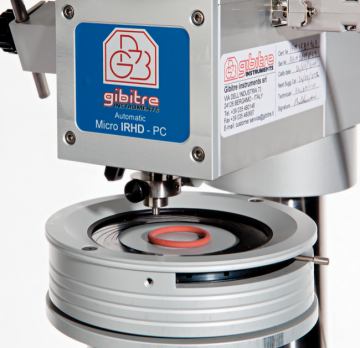 The Micro-IRHD tester is designed to carry out tests even on very small finished pieces. 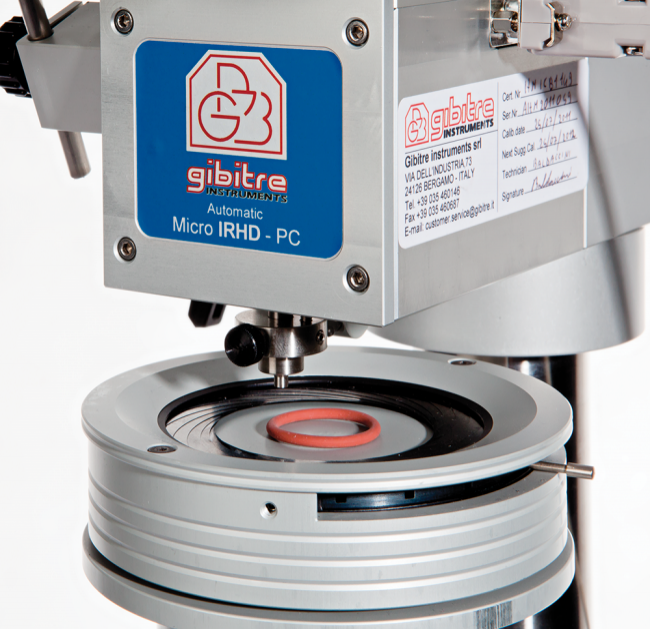 Centring devices are useful for positioning the test-piece under the indentor. 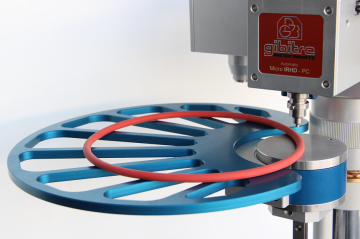 The device is designed for the quick centring of O-rings or cylindrical parts independently from the diameter. This device permits to make one test on the sample and requires manual repositioning of the sample between one tests and the next. This device is mounted directly on the standard plate of the instrument. 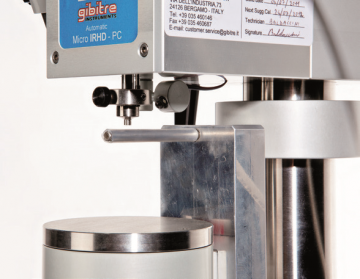 1) the sample is placed between the vertical micro-cylinders. 2) the position of the micro-cylinders is regulated using the handle to fix the sample in the middle. 3) the middle position of the micro-cylinders is the correct centring point for the test. The height of the micro-cylinders can be adjusted using the regulation ring according to the cross-section of the sample. The Y axe position is automatically centred due to the mechanical construction of the instrument. A piece of tube is placed on the horizontal cylinder for testing. repositioning of the sample between one tests and the next. 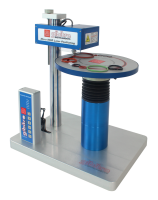 Enables Multiple Automatic testing of o-rings or round parts with external diameter up to 75 mm. 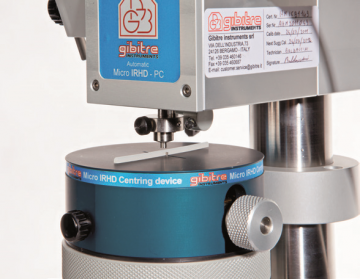 Testing of samples with the same dimensions don't require re-centring.